Have you tried the wines of Beaujolais? I encourage you to check them out because they’re affordable, food-friendly and approachable. It’s fun to experiment with them and find your own favorite food pairings. 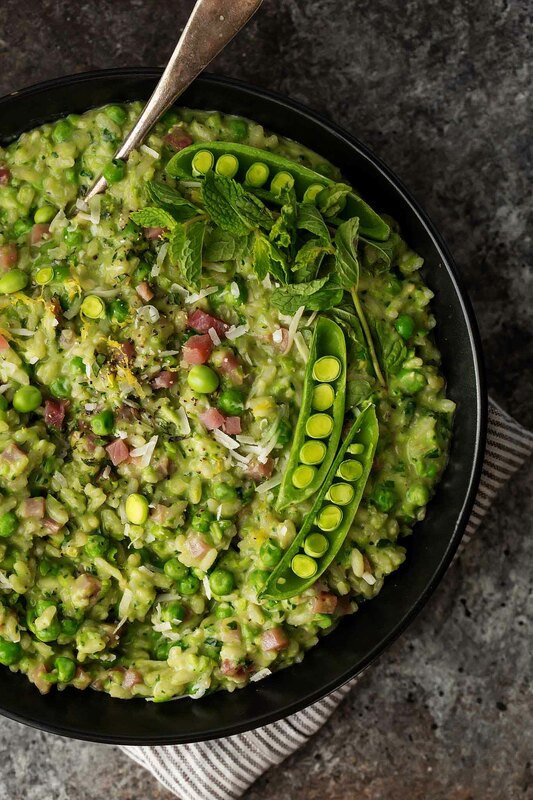 This Pea Risotto with Mascarpone, Mint and Prosciutto is rich, creamy and totally decadent. 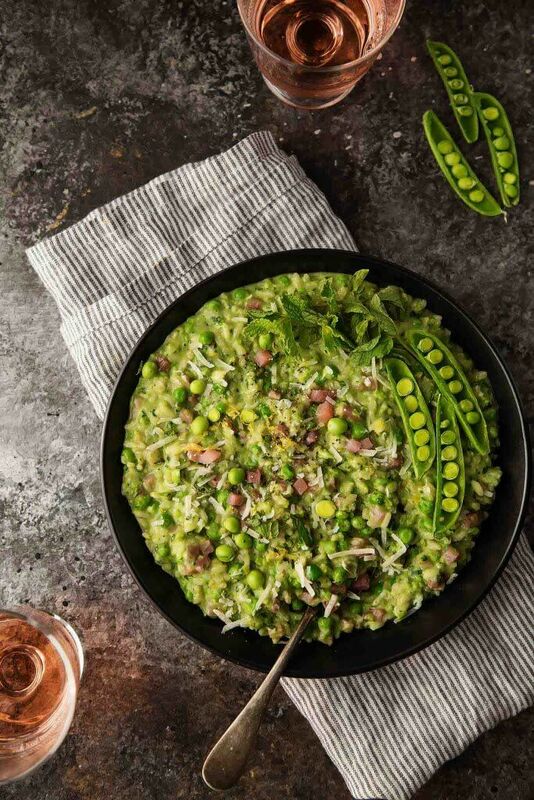 If you loved this Pea Risotto I would appreciate it so much if you would give this recipe a star review! Also, be sure to snap a picture of your finished dish and share it with me on Instagram using the hashtag #platingsandpairings and tagging me @platingsandpairings. Disclosure: I teamed up with Beaujolais to bring you this post. As always, all opinions are my own. 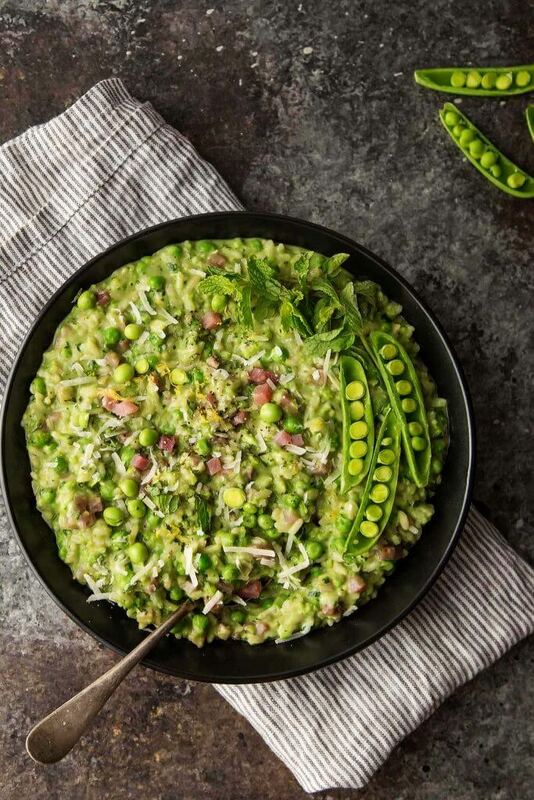 This looks like a really interesting and tasty risotto. 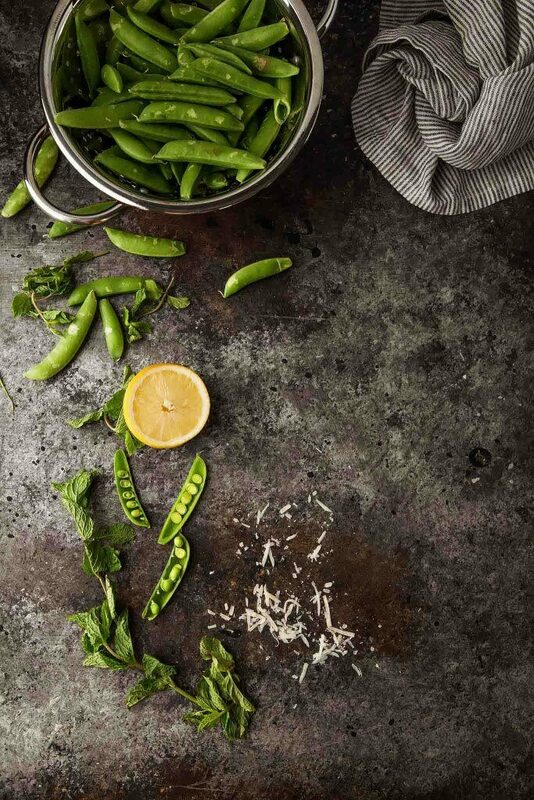 Peas are also one of my favorite veggies. One of my fondest memories is picking shell peas in my uncle’s garden and eating what seemed like pounds of peas. Ooh! Love that memory. Peas straight from the garden are the best! 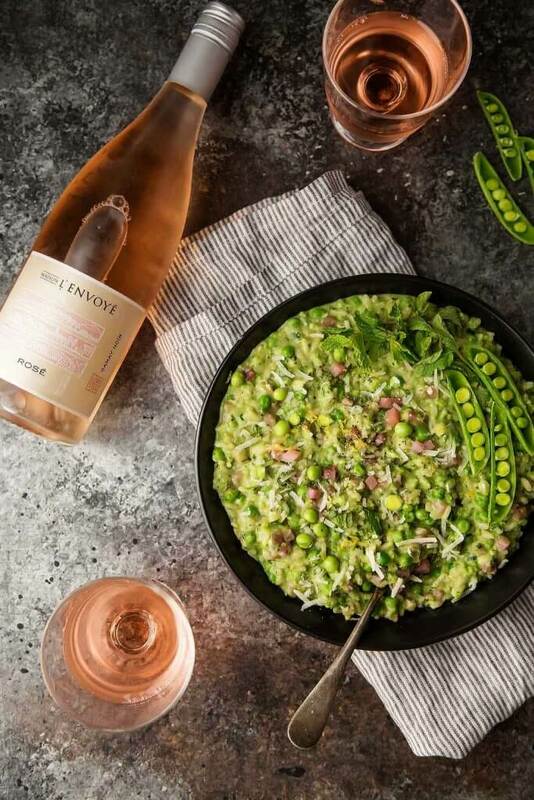 YUM now that the weather is finally cooling off, risotto sounds fantastic for some rich comfort. I will have to leave out the prosciutto for vegetarian F but I hope that the rest of the recipe will still turn out an amazing dinner even without it! 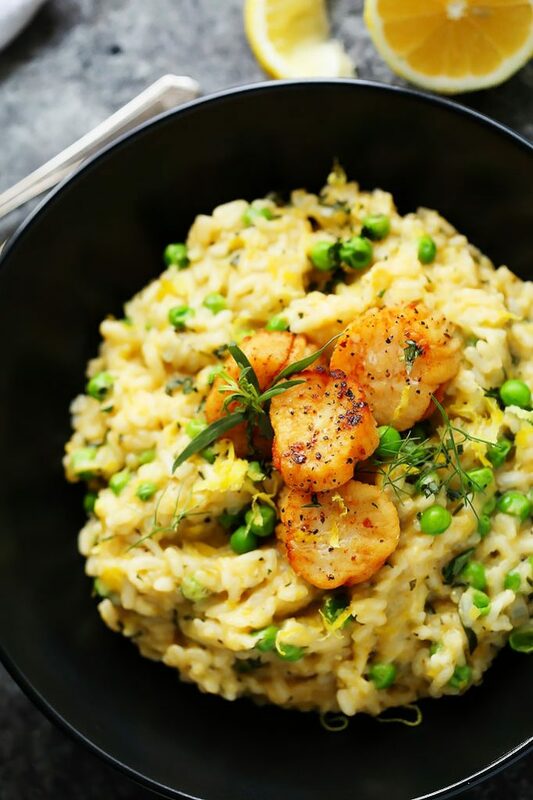 This risotto will definitely still be amazing without the prosciutto Pech – I hope you enjoy! This sounds so delicious! 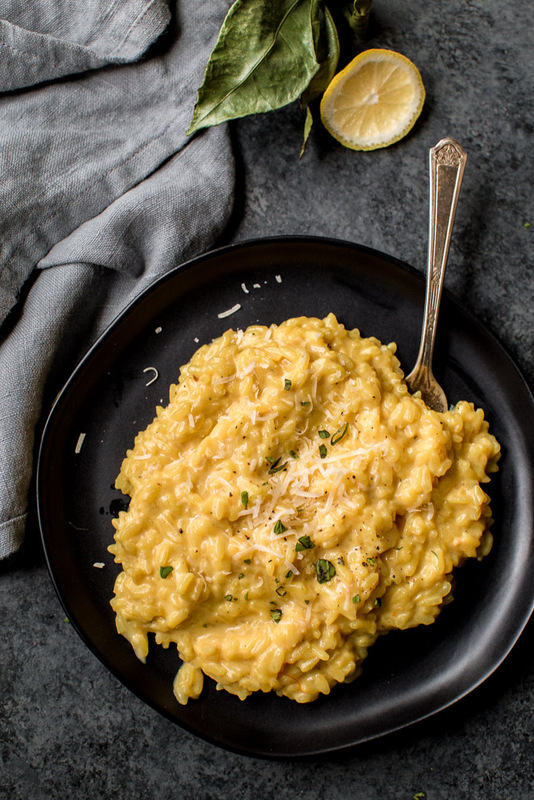 We haven’t made risotto much (just a few times in a slow cooker) but I should try it again. It is a little intimidating for a novice cook like me, but this recipe looks so yummy! I’m sure you can do it Megan! I’m not quite sure why risotto has become known as a difficult dish… Maybe because of Gordon Ramsay? It’s really quite easy – I hope you give it a try! 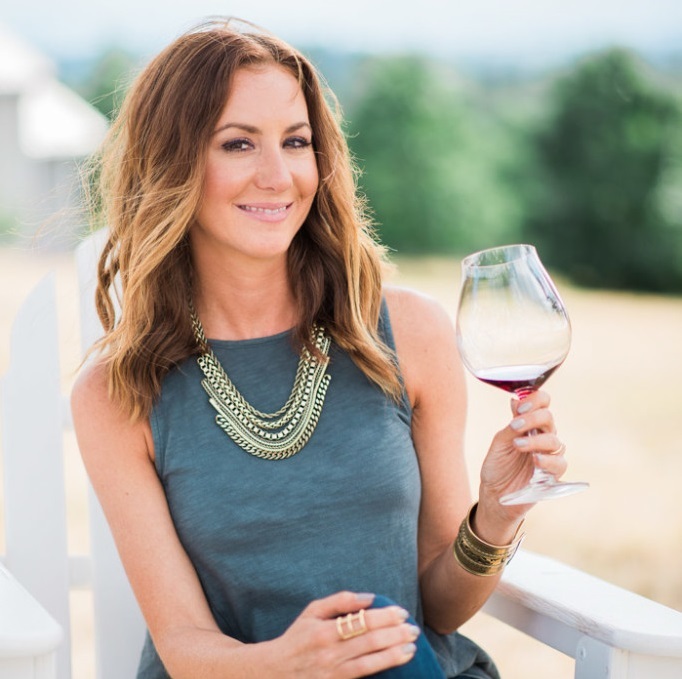 I love Beaujolais wines — they were the first wines I started drinking and enjoying (waaay back when!) and I love how diverse they are. 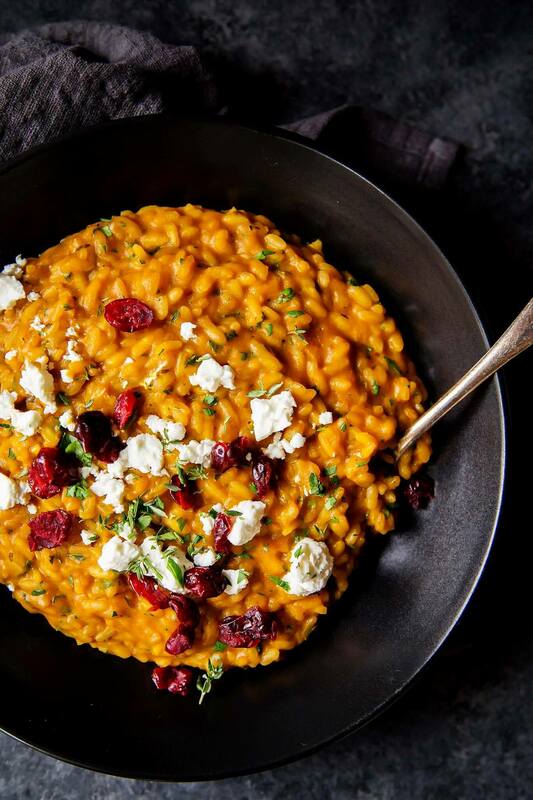 This risotto looks amazing! I’ve become a huge fan of Beaujolais too – They are SO food friendly! It’s fun to pair them with different dishes. I think the key is to make sure that you have enough liquid Catherine. It’s those last few ladles of broth and those last few minutes that really transform the risotto from crunchy to creamy-deliciousness! I don’t think the words mascarpone, prosciutto, or wine ever ended in anything short of delicious. This recipe looks wonderful, Erin! I can’t wait to try it. Ha ha – That’s probably true Jenni! Enjoy!! !